a whole new world under the sea. Is it much farther? MERMAID PRINCESS OONA: Down there. Just past this ledge. PRINCESS SOFIA: Oh, wow. 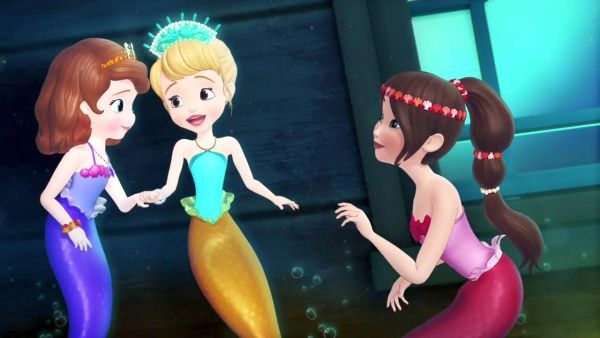 MERMAID PRINCESS OONA: Here we are. Let's go inside. PRINCESS SOFIA: In the ship? MERMAID PRINCESS OONA: Uh-huh. PRINCESS SOFIA: Whoa. It's all broken up. Is this where you live, Oona? MERMAID PRINCESS OONA: No, this is my hideaway. She's visiting from another colony. I hurt my fin and she helped me get back. 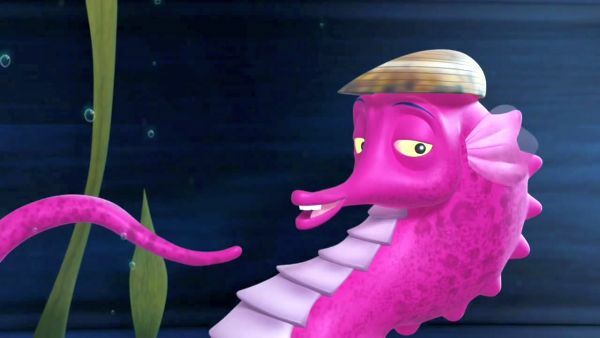 SVEN THE SEAHORSE: Oona! You hurt your fin? You must see the doctor immediately. PRINCESS CORA: See the doctor about what? 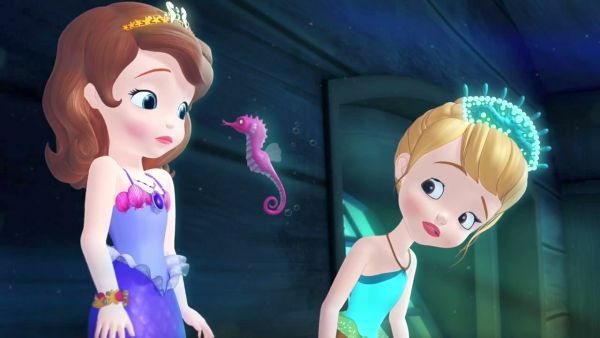 SVEN THE SEAHORSE: Oona hurt her fin! PRINCESS CORA: Sven, relax. Let's have a look. Oh, all you need is a little moon kelp. SVEN THE SEAHORSE: Ooh! I'll get it! 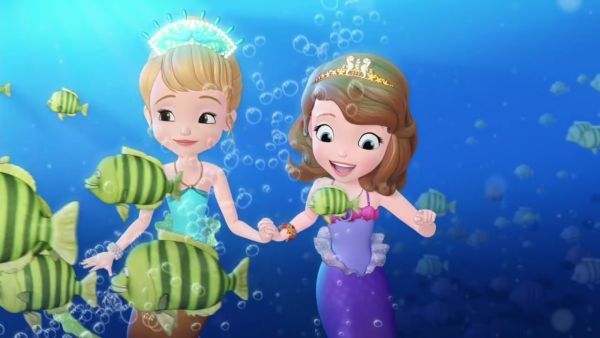 PRINCESS CORA: Who's your friend? 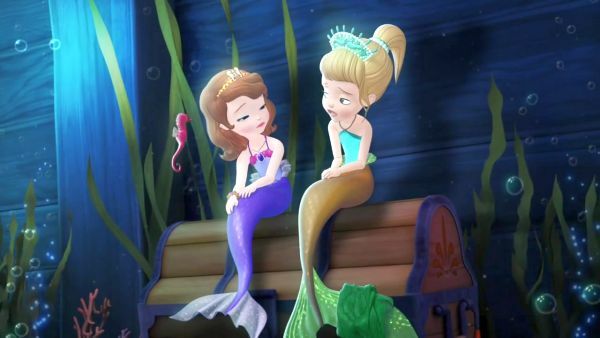 MERMAID PRINCESS OONA: Oh, this is Sofia. the savviest seahorse in the 17 seas. That's me. 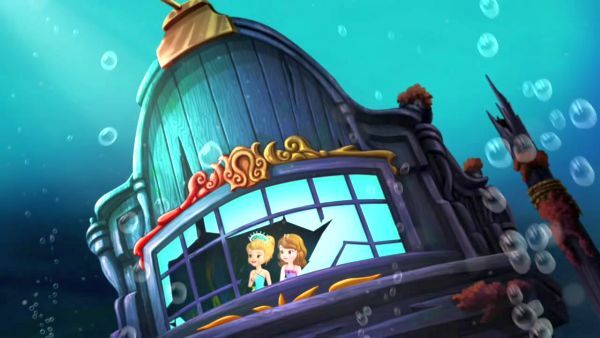 Our tour begins right here in Oona's lovely shipwreck. MERMAID PRINCESS OONA: Hideaway. SVEN THE SEAHORSE: If you say so. Sofia, welcome to the cove!